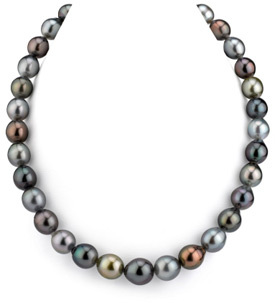 Apples of Gold Jewelry brings you this 19" 10-12mm Tahitian black cultured pearl strand necklace, which combines white gold and black pearls to make a stunning and unique pearl necklace. 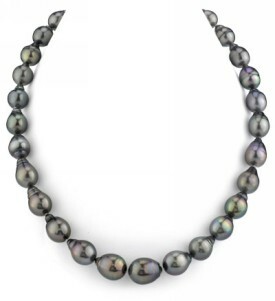 The dyed Black Tahitian pearls measure 10-12mm each in size, and are strung along together to create a beautiful pearl necklace. The 19" length of the necklace is met with a ball and hook clasp connector in 14K white gold. 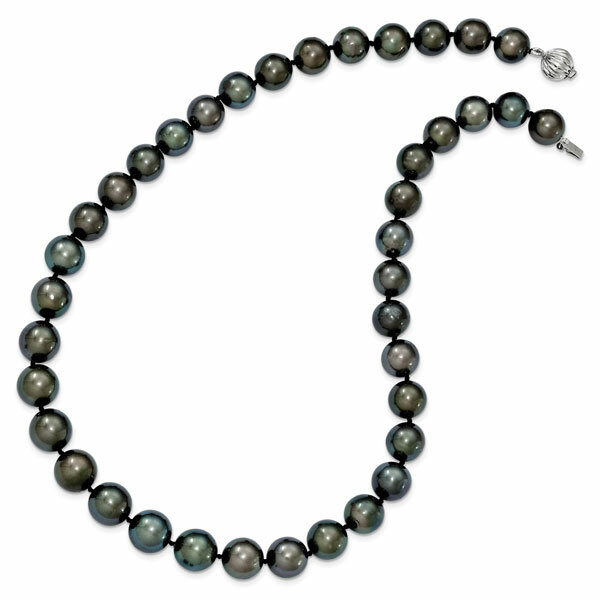 The beautiful black Tahitian pearls offer a gorgeous alternative to white pearls, and are suitable for special occasions or every day wear. 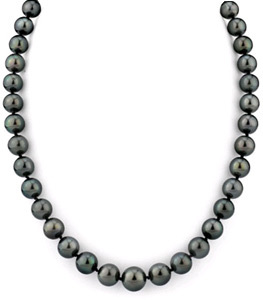 We guarantee our 19" 10-12mm Tahitian Black Cultured Pearl Strand Necklace to be high quality, authentic jewelry, as described above.